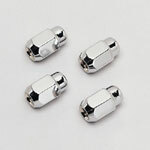 RK SPORT Parts are hand made and ship in approximately 15 Business Days. All RKSport Carbon Fiber Parts Ship in Aprox. 3-6 Weeks. RKSport 01011046 - RKSport Camaro SS Style Wing for Camaro V8 / V6; 1993-2002. No holes to drill. 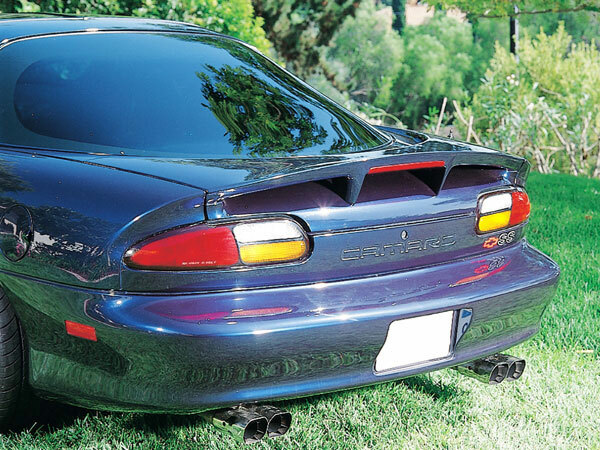 Mounts to your 93-02 rear deck spoiler.The SS Spoiler emulates the exact shape and lines designed for the SS Camaro. Made light yet strong, the wing uses the stock light and is ready to paint. Now includes 3rd brake light. NOTE: Ground Effects, Body Kits, Bumpers, Wings, and Hoods do not come painted. They all need to be prefit to the car before painting. IMPORTANT DELIVERY INSTRUCTIONS: PLEASE INSPECT ALL TRUCK FREIGHT SHIPPED ITEMS OUT OF THE BOX BEFORE SIGNING FOR THE DELIVERY. If parts arrive damaged or missing, please do not SIGN for delivery and REFUSE the package. If the driver will not let you refuse it without signing for it then sign "DAMAGED" or "PARTS MISSING". If the parts are refused and not damaged or missing, the customer will be responsible for shipping. If the driver refuses to let you inspect the delivery please accept the package and sign "DRIVER DID NOT LET ME INSPECT PARTS". CORSA Camaro Cat-Back Exhaust Z28 Convertible 5.7L V8 LT1 Sport - 3 Inch Dual Rear Exit with Twin 3. History and information about RKSport and their products. Reviews for RKSport's Other products are show below. Already had a k&n cold air intake installed before receiving the ram air hood on my 2014 durango RT.must say,very impressed with look & how it performs.dont know what it adds but definitely feel better response.pedal feels a like its on air..rides better,runs better nd definitely looks better.if people dont see me riding they definitely hear me approaching.no regrets,if anything my next ride getting one.only begun my project on red moon.